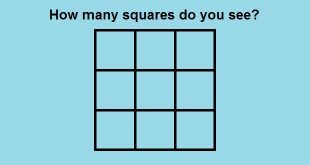 How many squares do you see? This is the question that you must give an answer. Be careful it is tricky!